How to Snag The Best Black Friday Deals–Every Time! Holiday shopping is the best part of the holidays, except for the damage it can wreak on your pocketbook. But that’s why Black Friday and Cyber Monday exist—right? To help you save tons of money? 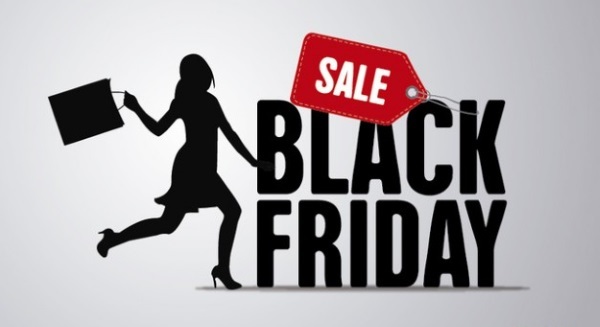 Though it’s no secret great deals have a tendency of lurking around the corners this time of year, particularly because stores are eager to turn a profit and get in the black, many consumers mistakenly assume that every deal they stumble across during these sales are the absolute best of the entire year. And many retailers take advantage of this false pretense and disguise rip offs as amazing “deals.” To make sure you enjoy your holiday shopping while protecting your wallet, here are some tips to follow. Every year after Black Friday, store return counters overflow with gifts and coveted door busters that just days ago people were playing tug-of-war over. Why does this happen? Because consumers get excited in the moment and end up buying things they never really needed…or even wanted. To avoid this, make a list of exactly what items you want to purchase. And be specific. Hunting for a tablet? Think about what size, brand and specs you’re looking for. Activity tracker? What features and style do you want? If you make a list and are specific about exactly what it is you want, you’ll be less likely to splurge on something you’re not very keen on buying, which will keep you from the dreadfully long return lines immediately following Black Friday. No, we don’t mean you need to write an entire research paper before you go shopping. But we do recommend you go online and read the reviews about the product you’re looking to purchase. By doing your research ahead of time and considering customer feedback on the item you’re interested in, you’re less likely to be disappointed or dissatisfied with your purchase—especially if you’ve wasted a ton of time standing in a long line to buy it. Most people love the thrill of Black Friday shopping—fighting the crowds, the thrum of late-night joviality and holiday spirit all around. Oh, and of course the shopping! But in the excitement of it all, it’s easy to get distracted and get ripped off by one of those fake deals we mentioned earlier. To avoid getting fooled, make sure you start your research early on—at least a few weeks before the actual sale date. Compare prices among different retailers—both online and in store. Sometimes online deals trump anything you can find at a store. But do be mindful of shipping costs, because sometimes they can be heavy and, ultimately, a deal breaker. If you are doing the majority of your shopping at one store but find a particular item that’s cheaper at another store, find out if the first store has a price match program. Often, these retailers will price match if you can provide a circular or online ad showing the discounted price at one of their major competitors. And make sure you don’t limit your price comparisons to only before Black Friday. Once you make your purchase, it’s likely that some stores will drop their pricing, making it possible for you to get an even better deal—or at least have the store you purchased from price match the lower price from their competitor. While you’re out snagging incredible deals on Black Friday—don’t forget, Cyber Monday is just around the corner. So if you didn’t find what you were looking for over the weekend, you could still have another shot at a great bargain!